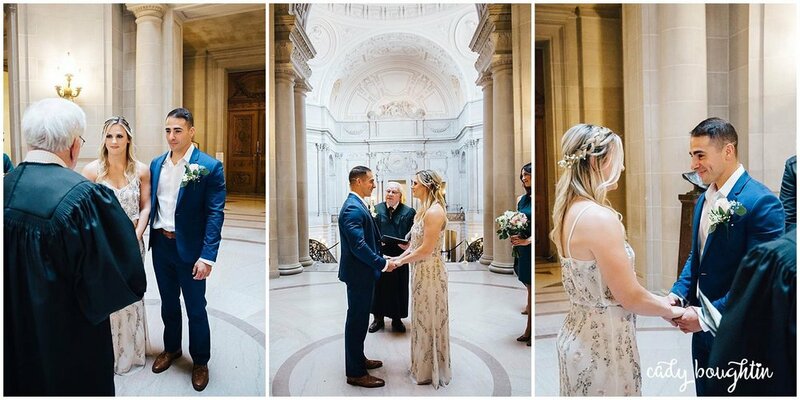 I've said it before, and I'll say it again: I LOVE SAN FRANCISCO CITY HALL. 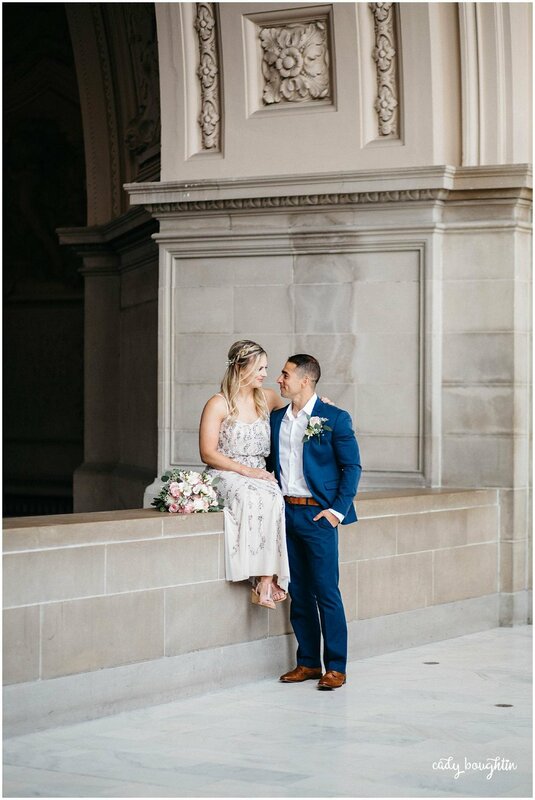 This gorgeous marble and gilded building is the most gorgeous place for an elegant, intimate wedding, which is exactly what Alisha and Elliot achieved. 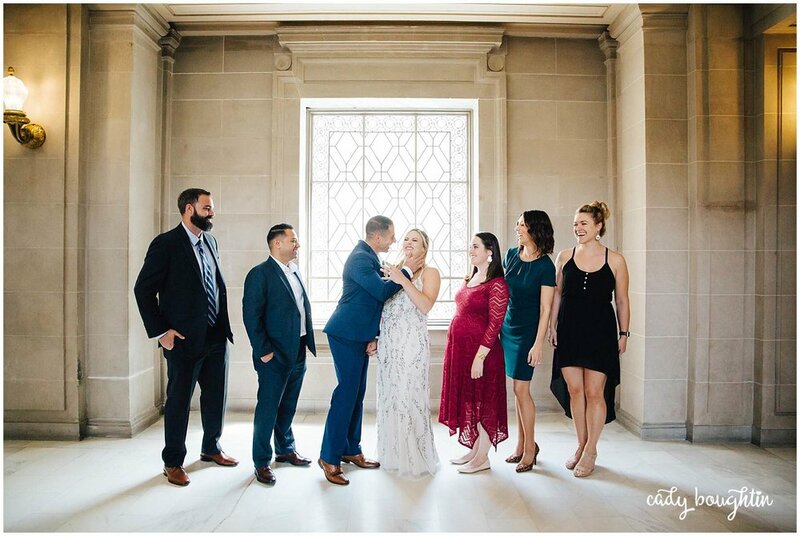 Being active military, they planned a small wedding day to fit into their busy schedules, and are planning a bigger celebration this summer. 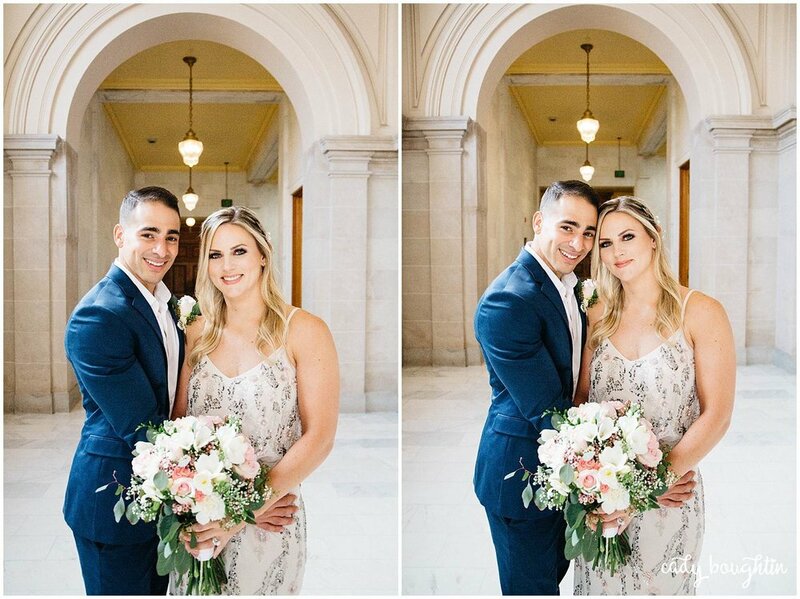 Together with their closest friends, they tied the knot on a beautiful April day. 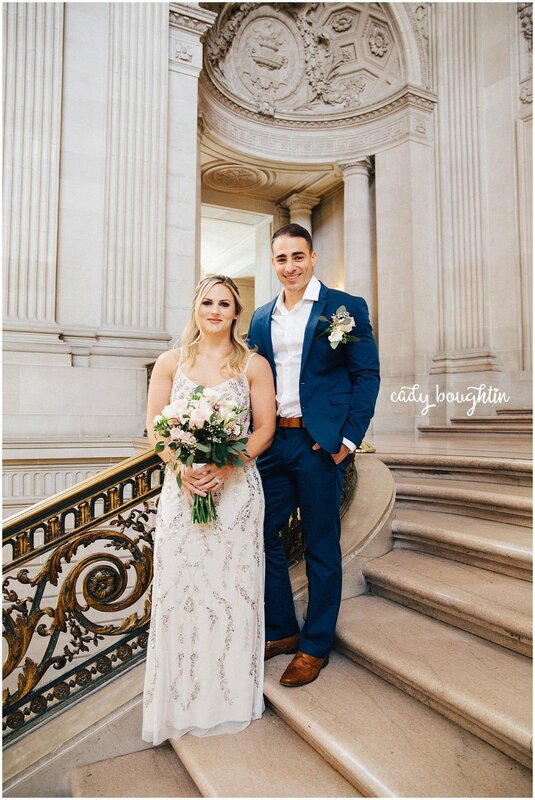 Her dress (from Nordstrom) and bouquet were perfect for her and Elliot's blue suit was the perfect pairing. 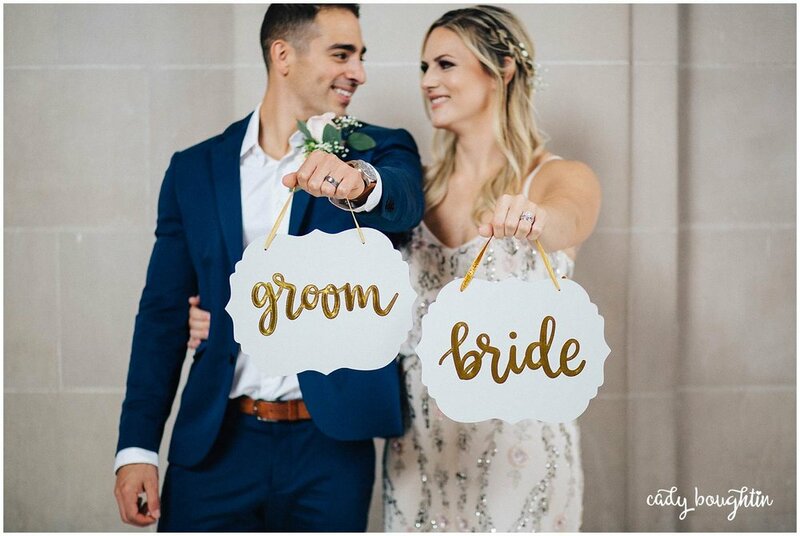 Congrats to you both on a special day, and enjoy your wedding gallery! 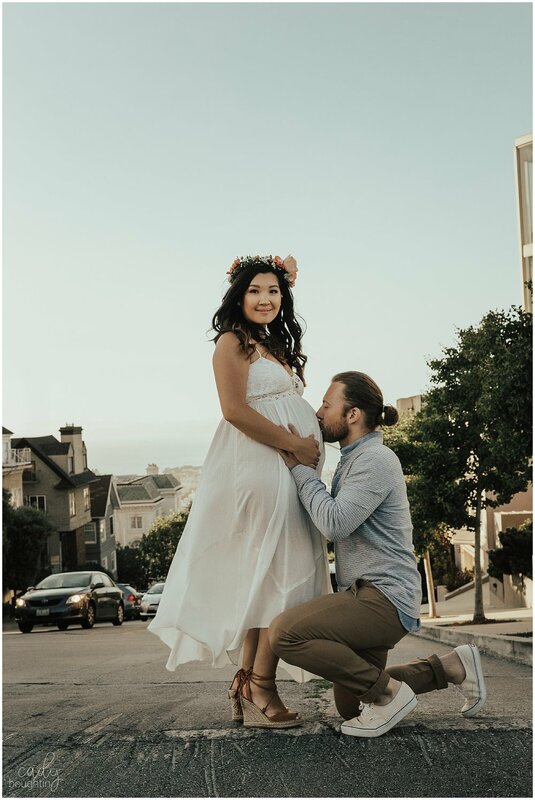 This gorgeous couple brought me out to San Francisco for their maternity session so that they could capture the beauty of their new town in their maternity photos. We got to chatting as we drove around the city, and I asked about their Southern accents and how they ended up here. Originally from Kentucky, Veda and Jonathan picked up one day and said "Let's move to California." And they moved- just like that! Talk about adventurous! They ended up in Sacramento, which is where Veda said she lived when she first found my Instagram, and are now in a beautiful cozy apartment in San Francisco. 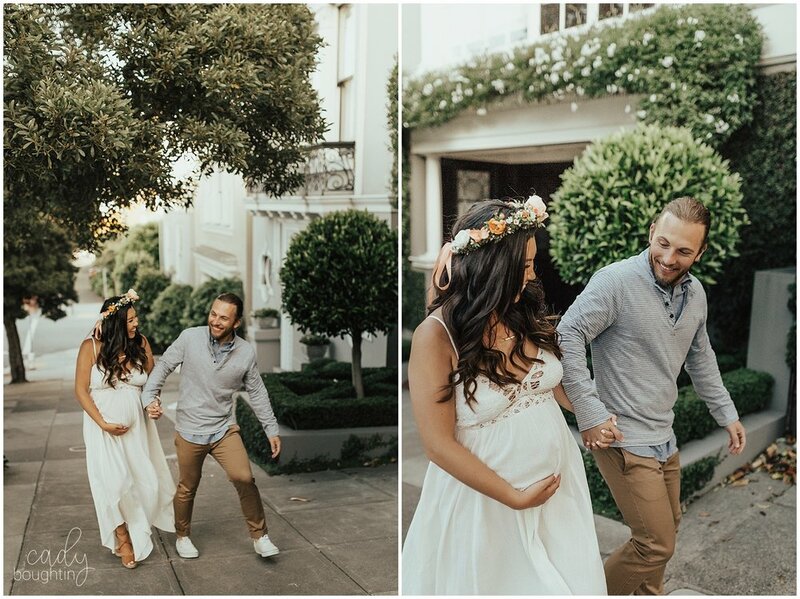 We started at the Palace of Fine Arts and got some of gorgeous shots before hopping back in the car and heading to the Marina, which is a neighborhood full of homes with characters (and more importantly, flowers!). My cheeks hurt from laughing so hard every time we would run out into the road for a photo and yet another car would show up and ruin our shot. 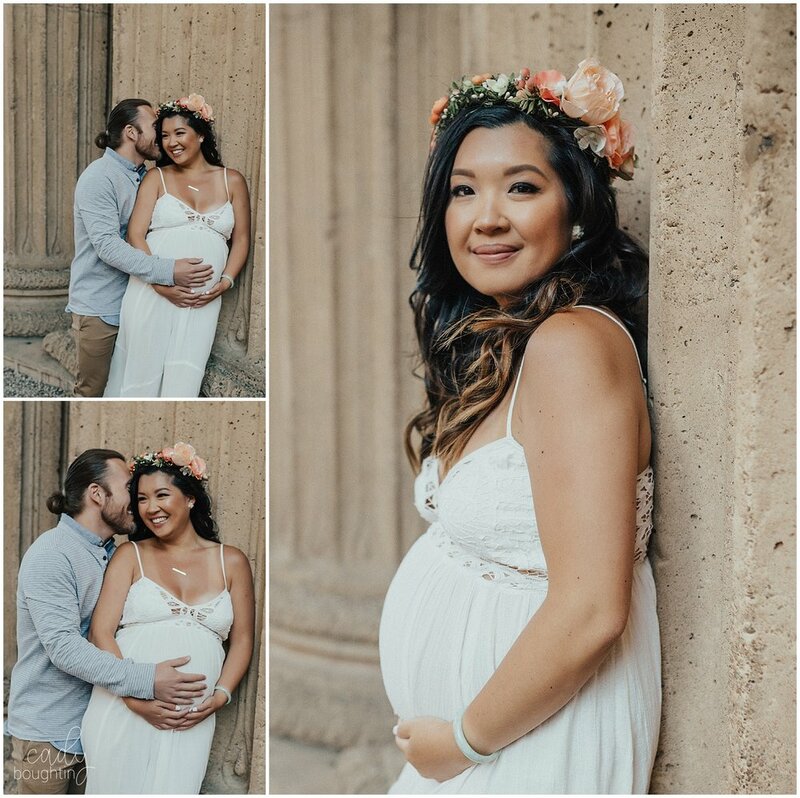 Veda was such a trooper and didn't complain a single time, even in heels at seven months pregnant! Scroll to the bottom for outfit links! Click an image to shop- everything is from Amazon!